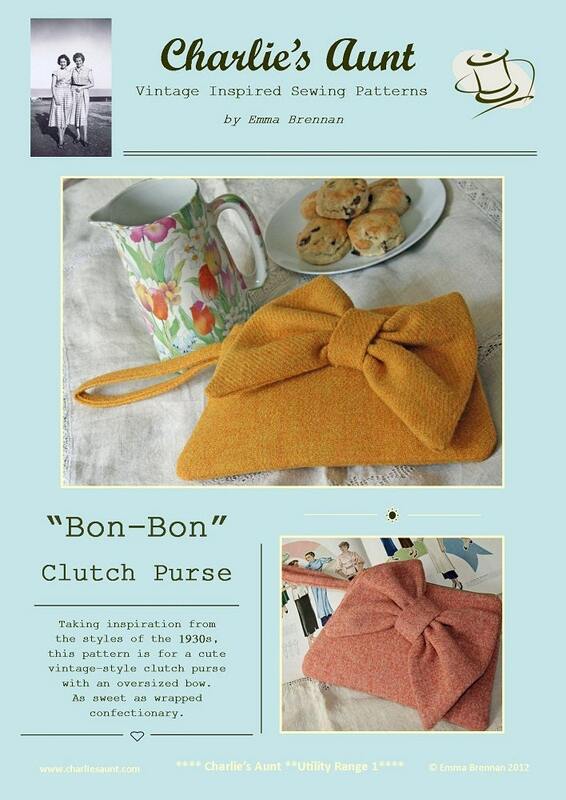 This listing is for a PDF sewing pattern to make the very charming and simple Charlie’s Aunt “Bon-Bon Clutch Purse”. 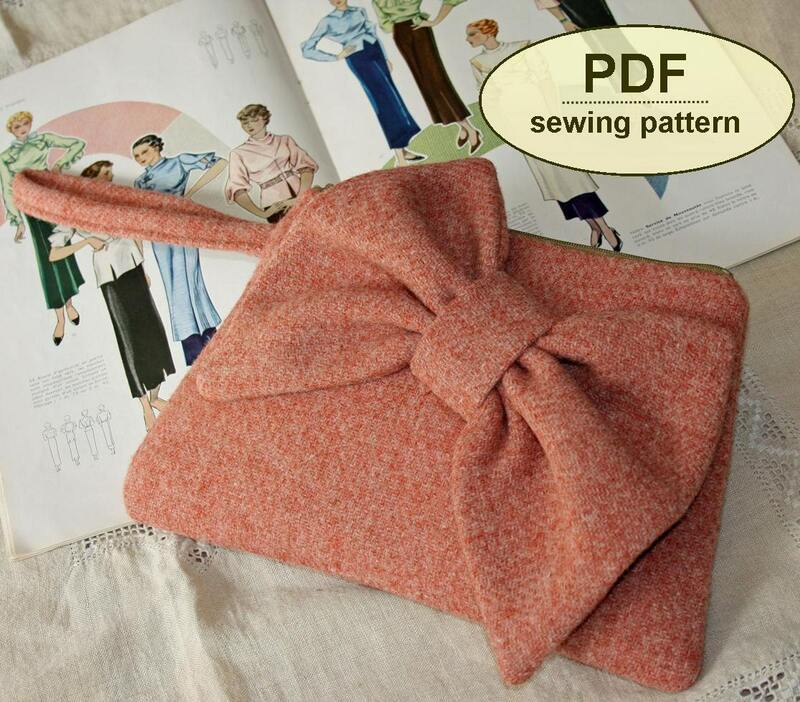 Taking inspiration from the styles of the 1930s, the pattern provides full sized templates and instructions to make this cute vintage-style clutch purse with a zipper top, and featuring a self-fabric wrist strap and over-sized bow – as sweet as wrapped confectionery. 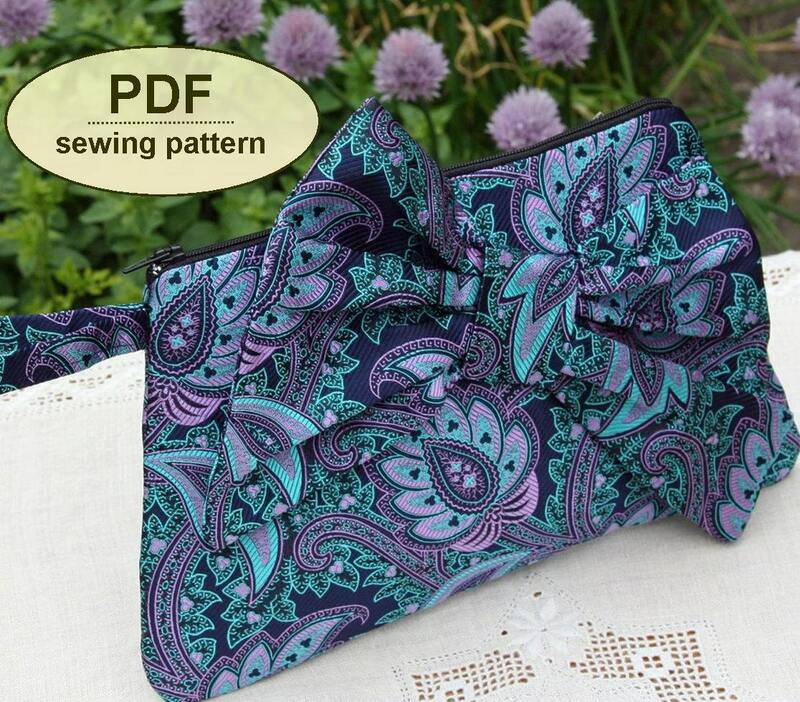 The purse pattern is ideally made up in pretty silks for special occasion wear – when you just need a little bag to house your lipstick and keys. 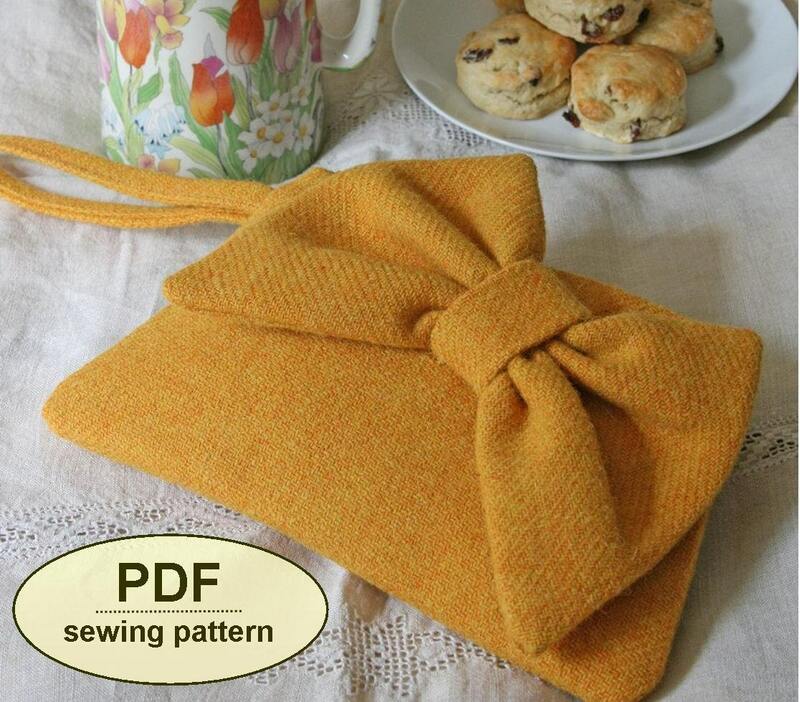 In bright wool tweeds, the purse is ideal for autumn or winter evenings out. 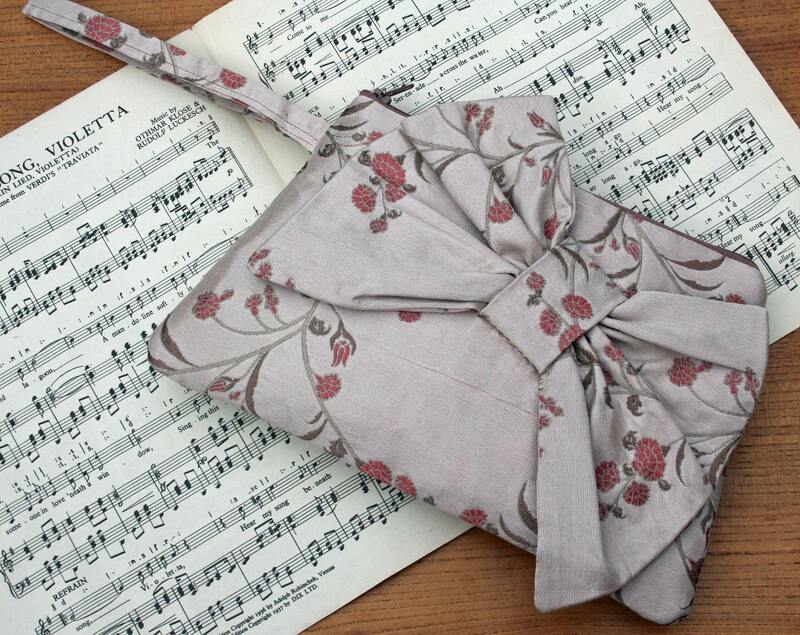 This easy to make purse measures 10.5” wide by 6.5” high (27cm by 17cm) when finished.